The National Campus Ministry Association is a good resource for anyone interested in Campus Ministry. Here we repost an article by Teresa Zaffiro about her involvement in campus ministry. Teresa was the development coordinator at Ecumenical Campus Ministries at the University of Kansas, and remains active there while serving as the Director of Religious Education (DRE) at the Unitarian Universalist Fellowship in Topeka, KS. – Ed. Last month the leadership team at the Ecumenical Campus Ministries at KU had their second team building retreat. This was a daylong event at Heartland Presbyterian Retreat Center in Kansas City. I had the privilege of organizing and facilitating the retreat, and what an immense privilege is was, to spend the day with this particular group of young adults. The retreat was based on the theme “Exploring Your Spiritual Journey”. As you may know from my last blog post, we are truly open and affirming – people of all faith traditions or no faith tradition are welcome. From born and bred Christians to Unitarians, to atheists to astrologists – we truly do attract, welcome and provide a community for people of all faith and secular backgrounds. Because of this diversity, for some people the idea of a day based on ‘faith / spiritual exploration’ was somewhat nerve-wracking, but they were all willing to put themselves out there and try. For me personally, the retreat made me think a lot about how the idea of “Jesus Christ as Servant” is a large part of my faith journey and world paradigm. It actually surprises me how often I come back to this idea of Jesus as friend of the oppressed and ally with the marginalized. For much of my life I rejected the church (growing up Catholic I am now Unitarian), yet for ALL of my life I have felt the call to justice. I have felt the call to ally in struggles for environmental justice, LGBTQ rights, the care and empowerment of the mentally ill and pretty much the gamut of social justice issues. I have constantly seen myself as a servant to the world, knowing that I would always, in one way or another, be working in communities that strive for justice and peace. Yet it is only recently that I have connected this impassioned activism with my own faith journey. I consistently come back to the teachings of Jesus, and consistently become angry about the way in which we have been told that he would ‘hate fags’, or want you to give money to a televangelist and be saved. I am surprised by my outrage at what I have no better word for than the bastardization of Jesus’s name and teachings. Maybe they say ‘god hates fags’ – but if God and Jesus are one in the same, and Jesus came to earth as God, then I see some discrepancies in the messages that just aren’t possible. Our culture has literally become rampant with obfuscation of the true teachings of Jesus. This does nothing but prevent progressive, passionate young people like myself and my friends on the Leadership team from incorporating reflection on religion/ spirituality into the use of their gifts to heed the call to justice and compassion. Anyway that was a long digression to say that for many people on the leadership team, including even myself, it took a great deal of courage to enter into this retreat and answer the questions “what has my faith / spiritual journey been thus far”. Yet, all of them did it. The main activity of the day was our spiritual life mapping. It is like doing an ordinary map of one’s life, but focusing on key events, people, understandings or questions dealing with faith, spirituality, our understanding of the world and our place in it, or perhaps just our atheistic, secular view of a very scientific world. Believe me, we had it all represented at the retreat. In small groups people made their maps and then discussed together in small groups, then all together in a large group. It was almost surprising how powerful this activity was for us. Many people overcame years of bad experiences with oppressive “theology” and doctrine and were able to open their hearts and minds to listening to how a progressive faith community like the ECM is one where people are fully able to explore their spiritual (or secular) journey in the world without judgment or without fear. Questions were not met with the “right answer according to ECM” or the right theology or doctrine according to MY God or belief system. Rather, questions were sometimes without answers, because the answers about our own faith /spiritual journeys come from within, and they are dynamic, ever-growing processes inside of and unique to each of us. In communities like the ECM and progressive campus ministries / congregations we share and nurture reflective processes in one another, but we do not force, give stipulations or attempt to give the “right” answers. We empower one another through dialogue, safe spaces and thoughtful care. This retreat and the courage of the Leadership team to stretch their comfort zones, examine the ways they view the world, listen and be open to how others view the world and engage in conversation about faith journeys was open and affirming principles in action. It was inspiring to see the courage of the group: they took risks in exploring their spiritual journeys with one another, and came into a deeper connection with themselves and one another because of it. 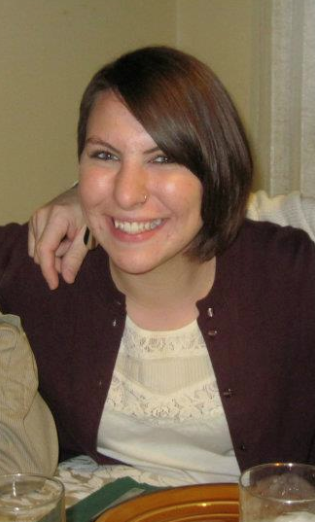 Teresa Zaffiro is the Director of Religious Education at the Unitarian Universalist Fellowship (UUFT) in Topeka, KS. She is the former development coordinator at the Ecumenical Campus Ministries at the University of Kansas and continues to serve on the “Envision ECM” committee for long-term campus ministry vision and planning as well as has continued involvement in ECM programming and Leadership Team work.